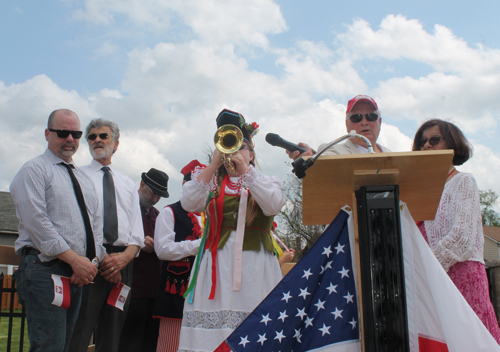 After the Parade, a brief ceremony was held with the playing of the Hejnal, singing of the US and Polish National Anthems and a few brief speeches. 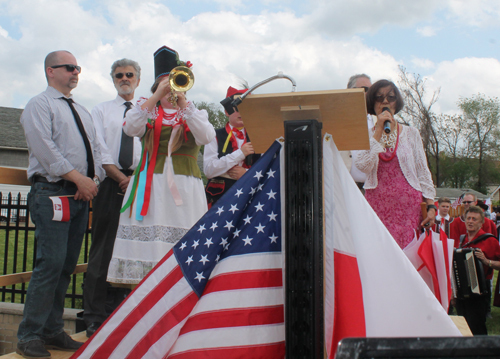 Olivia Gotowski played the Hejnal on trumpet and then the Polish and US national anthems with Eugenia Stolarczyk leading the singing. 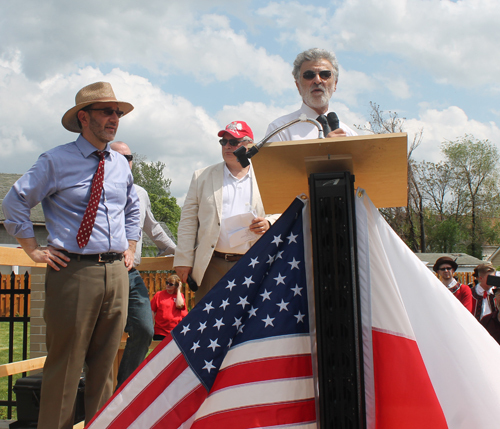 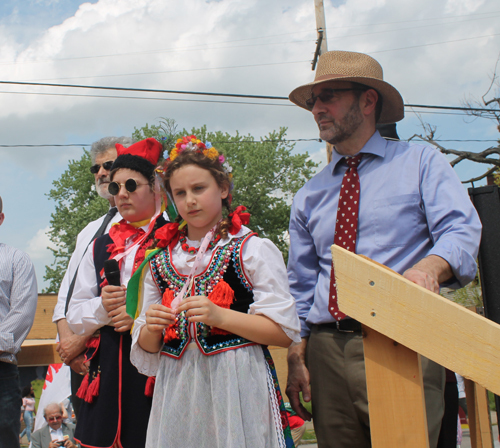 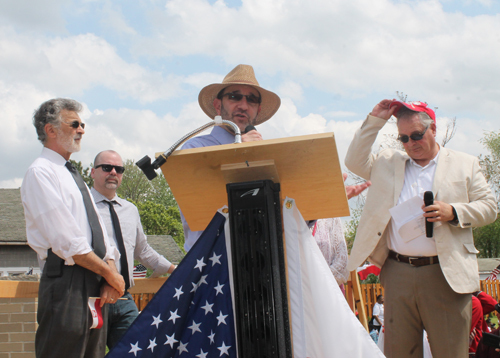 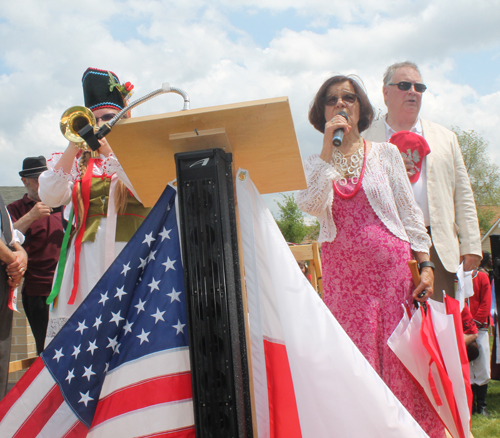 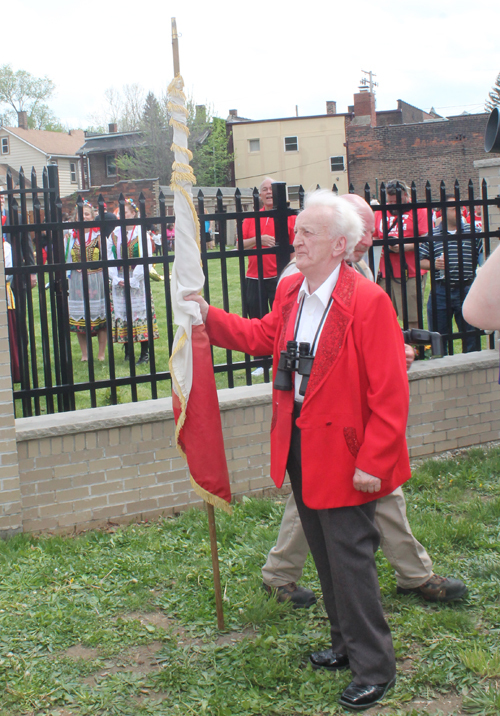 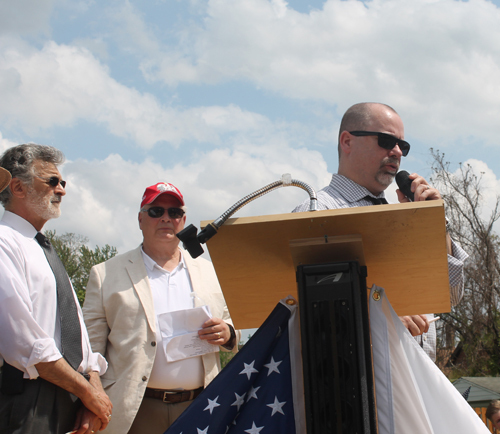 Cleveland Mayor Frank Jackson, Newburgh Heights Mayor Trevor Elkins and Slavic Village Councilman Tony Brancatelli were introduced by MC Charles Gliha after the 2017 Polish Constitution Day Parade in Cleveland's Slavic Village.